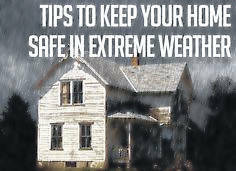 BELLVILLE — When the weather outside gets frightful, take extra care to make certain your homes and apartments and barns and businesses are warm and safe. These tips were provided by Richland Public Health. Use fireplace, wood stoves, or other combustion heaters only if they are properly vented to the outside and do not leak flue gas into the indoor air space. Never use a charcoal or gas grill indoors. The fumes can be deadly. Never use an electric generator indoors, inside the garage, or near the air intake of your house because of the risk of carbon monoxide poisoning. Be sure you do all possible to conserve heat if electric is unavailable. You may need fresh air coming in for your heater or for emergency cooking arrangements. However, if you don’t need extra ventilation, keep as much heat as possible inside your home. Avoid unnecessary opening of doors or windows. Close off unneeded rooms, stuff towels or rags in cracks under doors, and close draperies or cover windows with blankets at night. Also, unlike adults, infants can’t make enough body heat by shivering. Provide warm clothing for infants and try to maintain a warm indoor temperature. If the temperature cannot be maintained, make temporary arrangements to stay elsewhere. Remember that pillows and other soft bedding can also present a risk of smothering. Remove them from the area near the baby. Older adults often make less body heat because of a slower metabolism and less physical activity. If you are over 65 years of age, check the temperature in your home often during severely cold weather. Keep an adequate supply of drinking water as the cold can cause water pipes in your home to freeze and sometimes rupture. If you cannot thaw your pipes, or the pipes are ruptured, use bottled water or get water from a neighbor’s home. Do not forget to each and drink healthy. Well-balanced meals will help you stay warmer. Do not drink alcoholic or caffeinated beverages as they cause your body to lose heat more rapidly. Instead, drink warm, sweet beverages or broth to help maintain your body temperature. If you have any dietary restrictions, ask your doctor.